Mesh Size 4x4 to 16x16. Being a client centric firm we are involved in manufacturing a wide range of Polypropylene Bags. 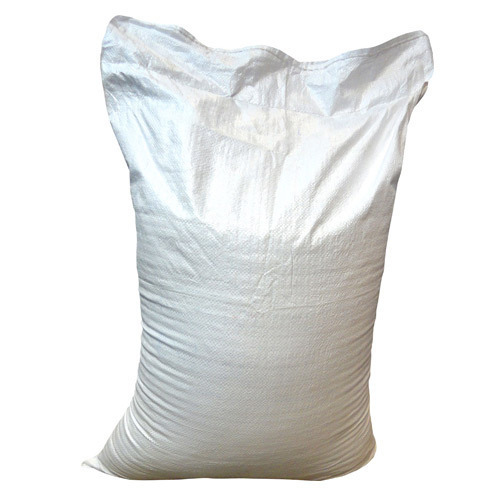 These Bags are highly acknowledged among our clients due to their fine quality and long life. Offered product is widely used in various industries to pack various items such as cement, urea, minerals, resin, pulses, dates, agro products and many more. Churiwal Technopark (p) Ltd was incepted in the year 1981 with an endeavour to manufacture, supply and export HDPE and Jute Bags to meet the current demand. The product offered by our firm consists of Jute Bags, Woven Sacks and HDPE Bag. Ours being a customer centric organization have always aimed at bringing out products which are quality wise superior and strong in texture and available in a wide variety of fabrics. Sourced from authorized vendors, the raw materials are tested as per the industry norms which make our product superior and accurate. The vendors which we select are accredited by the certification body who understands the significance of quality. We import from Bangladesh, China, African Nations etc and export in Bissau, Turkey, Syria, USA, Vietnam, Italy, UAE, Germany, UK, Kenya, Tanzania, Peru, Benin, Ghana, Egypt, Sudan, Algeria etc countries. Since we started operating, we have valued customer satisfaction and thus are dedicatedly bringing out products which are eco-friendly, recyclable and easily get decomposed. We are committed in delivering flawless products to our clients which are quality tested and therefore through this we have been able to achieve a position in the market. Our product catalogue offers products of various purposes which are divergently used. We have been highly praised by the clients not just because of its superiority, features, but its durability, reliability and reasonable pricing. Our firm is supported with enhanced infrastructure and competent professionals which enables us to take bulk order and deliver it on time.